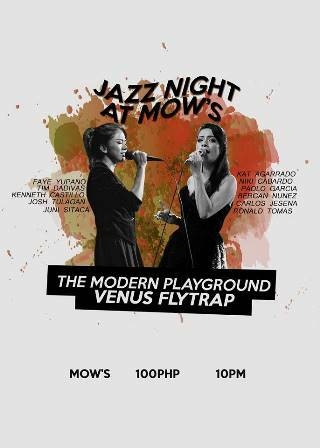 Why you should go: This will be a fun night of all that jazz because The Modern Playground will be playing alongside a special guest, The Venus Flytrap Collective! There will also be an open jam right after their sets! Other details: Gig starts 10 p.m. P100 entrance fee includes good music and good vibes.